Has Dave Eggers written a parable of our time, an eviscerating takedown of Silicon Valley and its privacy-invading technology companies? Or has he missed his target, producing a sanctimonious screed that fails to humanize its characters and understand its subject? Book critics are divided over the quality of Mr. Eggers’s highly anticipated novel “The Circle,” which went on sale Tuesday. But in Silicon Valley and beyond, the book’s theme promises to spark an even bigger debate over the 21st-century hyperconnected world that Mr. Eggers describes. Set in an “undefined future time,” Mr. Eggers’s novel tells the story of Mae Holland, a young idealist who comes to work at the Circle, an immensely powerful technology company that has conquered all its competitors by creating a single log-in for people to search, shop and socialize online. Initial orders have lifted the book to the No. 21 spot on Amazon, no small achievement for literary fiction, and booksellers reported selling copies almost immediately after opening their doors on Tuesday. In the tech world, some readers have bristled at the reflection of their world. “It makes me feel defensive because it hits home,” said Esther Dyson, an investor in tech start-ups. Other early readers of the book said they were reconsidering their attachment to the Internet. In an essay titled “Dave Eggers Made Me Quit Twitter,” Michele Filgate, a writer and bookseller in Brooklyn, wrote about her experience swearing off social media for a week, an experiment prompted by the unsettling feeling the book produced. “I hope that it allows people to step back and have a conversation about how we want to use technology,” said Jennifer Jackson, Mr. Eggers’s editor at Knopf. “I don’t think that this book is really going to make people stop using social media and I don’t think that’s at all Dave’s intent. This book is going to make people be more thoughtful — that’s my hope.” Mr. Eggers, who lives in the Bay Area, declined to be interviewed. He is not doing any readings or events to publicize the book. 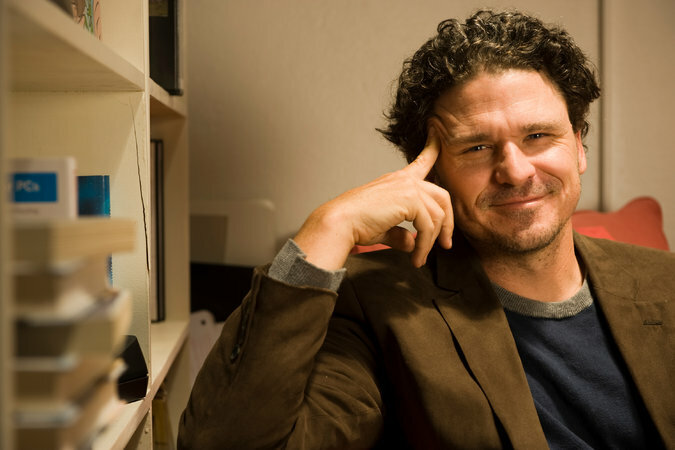 Knopf and McSweeney’s, which are publishing the book together, have planned a print run of 125,000, an ambitious number in a busy fall book season where Mr. Eggers will compete against fiction by Elizabeth Gilbert, Jhumpa Lahiri and Thomas Pynchon. A spokeswoman for McSweeney’s declined to reveal the advance. On the McSweeney’s Web site, Mr. Eggers said that he did not base the Circle on any particular company like Facebook or Google, nor did he visit the campuses of Google, Twitter or Facebook, interview their employees or read books about them. Yet Silicon Valley is recognizable everywhere. 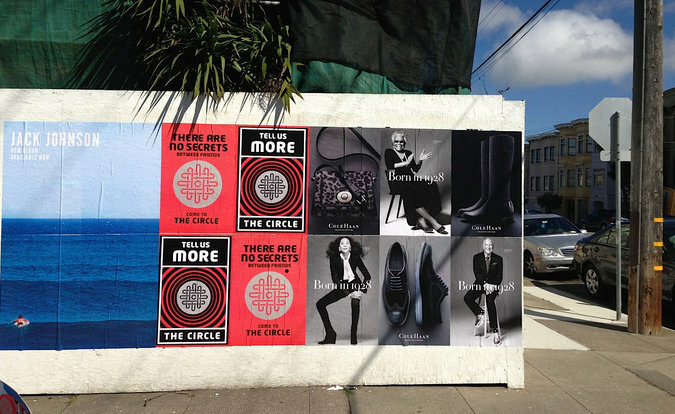 The Circle most closely resembles Google, with its Google Glass-like retinal computers, initiatives to map far-flung parts of the world, a triumvirate running the company, antitrust investigations and a secret lab for future projects. TruYou, the fictional company’s core product, has the letters of one of the founder’s names, just like PageRank, Google’s search algorithm, is named after the Google co-founder Larry Page. Representatives of Google and Facebook declined to comment on the book. In early September, a spokesman for Google e-mailed Knopf to ask for an advance copy of the book, saying that it sounded like “an interesting an important read for us,” according to the e-mail, a copy of which was obtained by The Times. Knopf did not comply with the request. 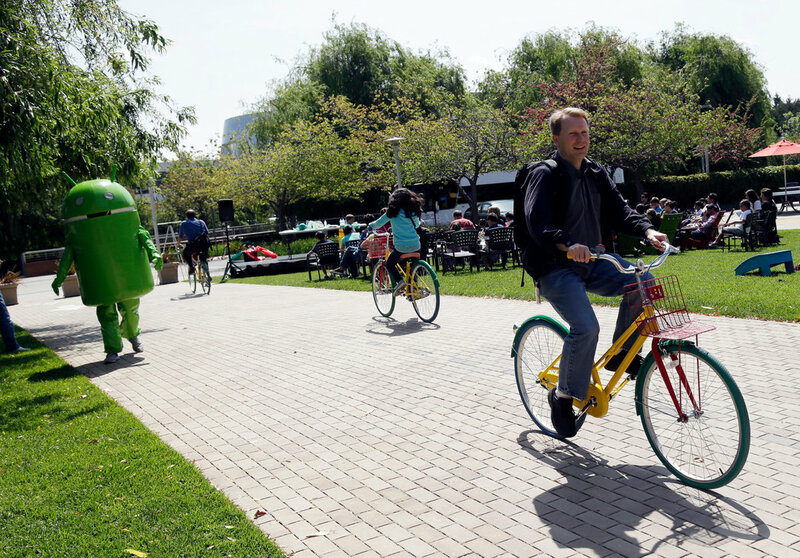 Glen Robbe, the manager at Books Inc., in Mountain View, Calif., said that he had read parts of “The Circle” and recognized the Google campus, a place he has visited frequently to sell books during author visits. Mr. Eggers portrays Silicon Valley as a place with ostentatious goals and an idealistic belief that its technology will change the world for the better, no matter the potential consequences. The Circle’s SeeChange cameras, for instance, stick to walls and broadcast live video, so they can do things like capture protests in the Middle East when journalists have been kicked out. The trade-off is that they also secretly broadcast people’s private moments at home. Benedict Evans, a tech and media analyst at Enders Analysis, a London research firm, said that Mr. Eggers’s descriptions capture two qualities typical of tech companies: unbridled optimism and the failure to understand real-world consequences of new technologies. “There is a massive bias toward optimism, and that’s why we have computers and all this stuff, because if people sat down rationally at every moment and said, ‘Would that work?’ we wouldn’t have anything,” Mr. Evans said. Some of Mr. Eggers’s references ring false. He misuses technical terms like “operating system,” for instance, and there is little public outrage in the book over the privacy violations the Circle commits, in contrast to the real-life anger that often accompanies privacy intrusions. Yet part of the reason “The Circle” can seem unnerving is because it stops short of far-fetched science fiction. Many of the inventions are just one small step further than tech companies have already gone. Sometimes, the book’s characters use technology that is already available. Circle employees and lawmakers “go transparent,” meaning they wear cameras that broadcast everything they see — much like Google Glass can do. In other cases, Mr. Eggers’s dystopian imaginings seem to have come true in the time since he wrote the novel. In the last week, articles in The New York Times have described several real-life situations that sound uncannily similar to plot twists in “The Circle,” like the privacy risks for children from schools that collect data about students and store it in the cloud, and the ability to search people’s names and find their arrest photos . Mr. Eggers is using fiction to ask questions that writers like Rebecca Solnit, Jaron Lanier and Evgeny Morozov have raised in nonfiction. The novel continues the debate, and asks whether the semi-imaginary world of “The Circle” is inevitable. In Silicon Valley, some tech people have criticized the book for its lack of verisimilitude, echoing a column for Reuters in which Felix Salmon criticized the novel. “Eggers is preaching to a group of people which has already made up its collective mind that social media is dangerous,” Mr. Salmon wrote. GOOGLE AND FACEBOOK WILL DO ANYTHING TO STOP YOU FROM SEEING: "THE CIRCLE"